In the world of contemporary art, when you ask an artist about the messages that he/she is trying to convey, you are most likely to receive a pompous answer/just another boring cliché. 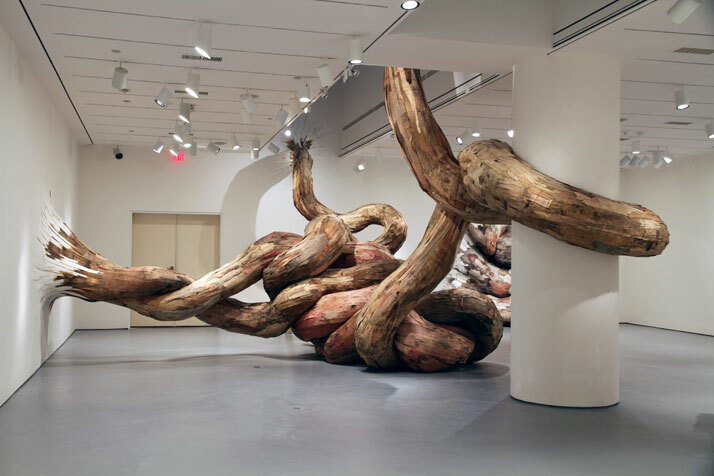 This was not the case with Henrique Oliveira, the Brazilian emerging artist known for his spatial wooden pieces whose irregular forms devour large spaces which give you the sense that you are actually inhabiting someone’s body. His answer had no unnecessary use of any conceptual lingo. 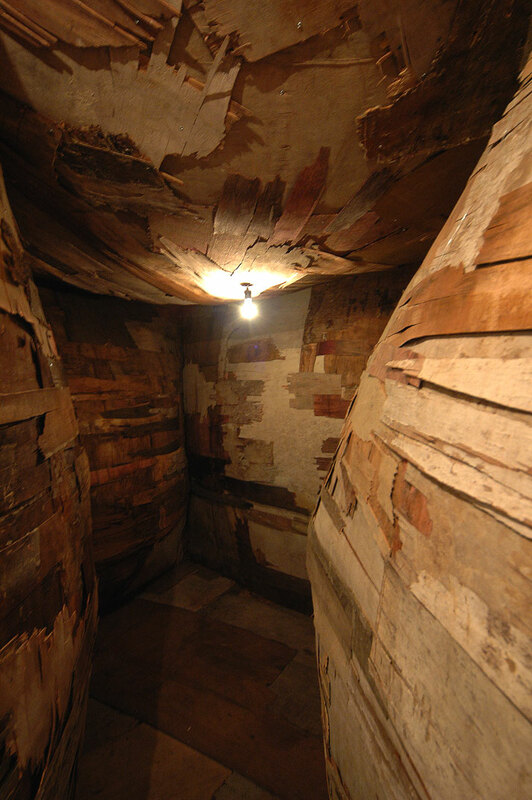 ''I believe that the message is never art itself, but instead, the lack of a message is a characteristic that makes some creations interesting to me,'' he says, adding ''my works may propose a spatial experience, an aesthetic feeling, a language development and many more nominations to refer to the relation it establishes with the viewer. But, any attempt to find a message would fail.''. 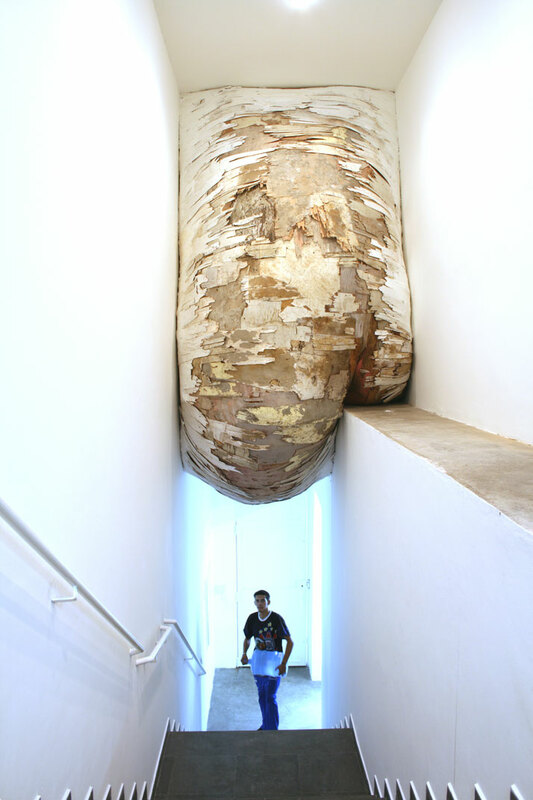 Oliveira’s art may not convey messages, however as he explains, his Brazilian identity and culture is something that is very evident in his work. “I believe that all everything that we make is the result of our life experience, our culture, our language and the exchanges we have made with other people during our lives,” he says. 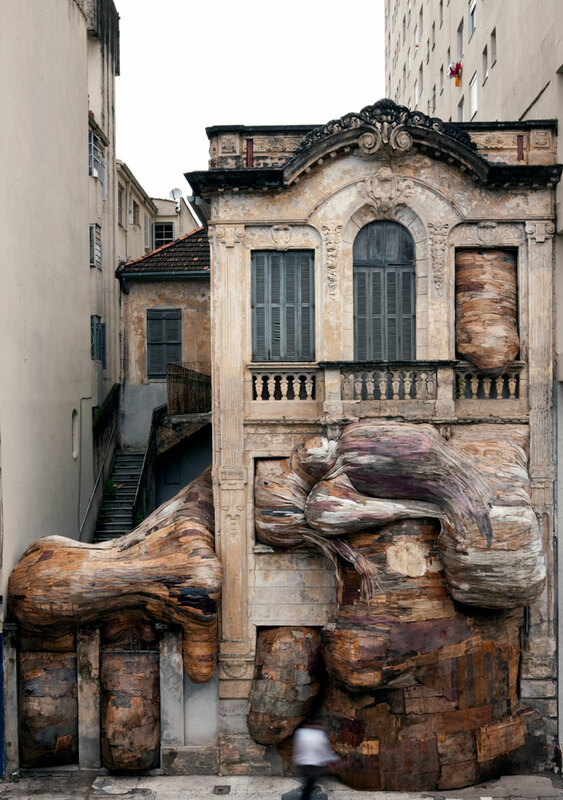 Analyzing his identity and experiences that form his practice, Henrique Oliveira refers to plywood, a material that largely dictates his sculptural work. In São Paulo, there are a lot of constructions currently taking place and the most common material that is used to isolate the construction site from the street, is plywood. 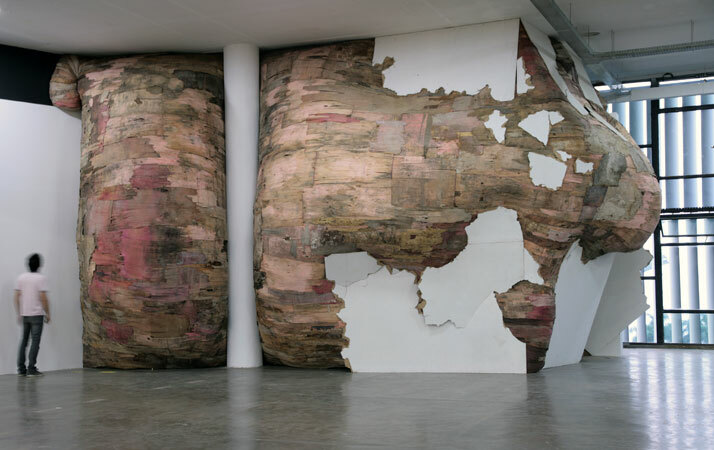 In 2003, when he was still an art student he researched painting surfaces and various surfaces as paintings. 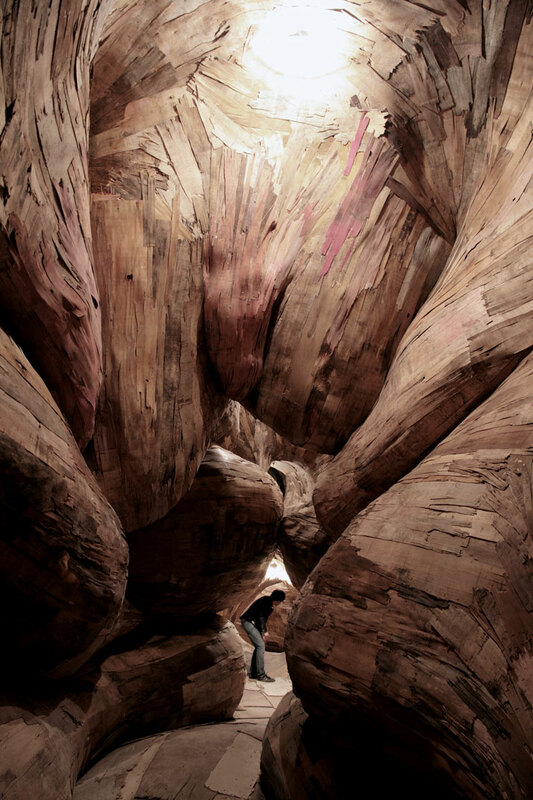 It was a time when plywood became a reference. 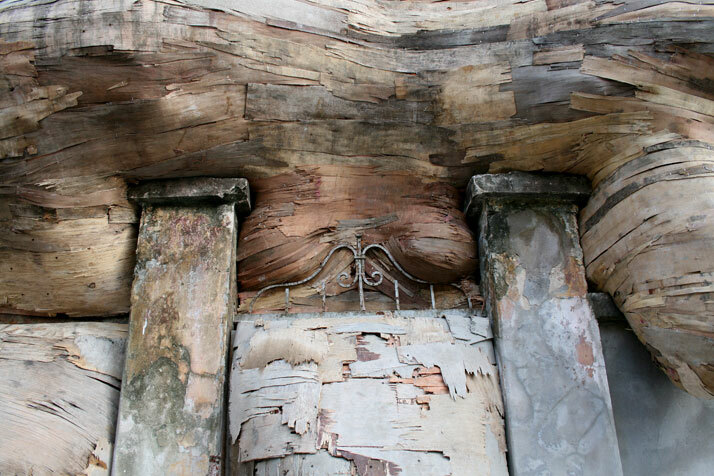 ''What first caught my attention on this kind of deteriorated plywood was its pictorial aspect,'' he says. “The textures, the colors and the different tones that were organized in layers, reminded me of a painting surface,'' he adds. 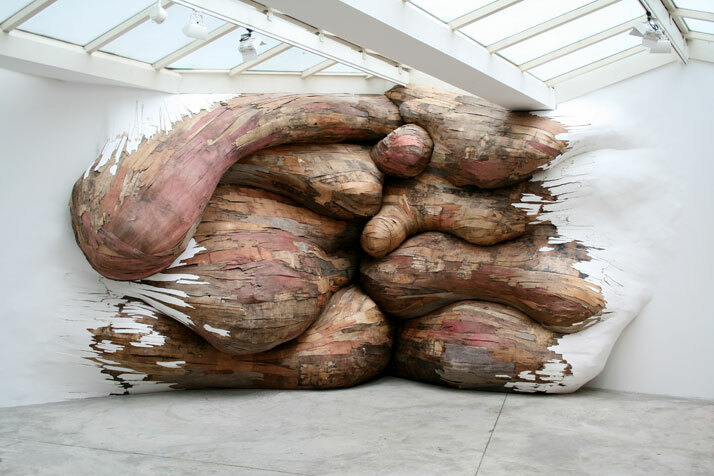 Whether organic or pictorial, Henrique Oliveira knows that his works transmit a sense of temporality. 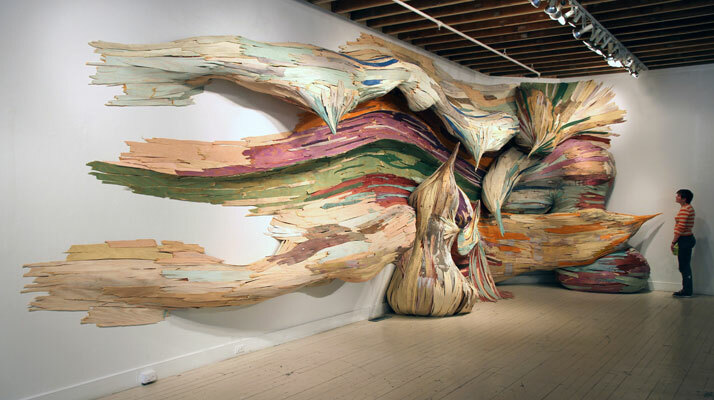 His aged wooden pieces ''show the transformation of matter,'' he explains. However, ''there is also a temporality that is more about the present. There is a sense of movement''. This temporality is both deliberate and dictates the form of the work. 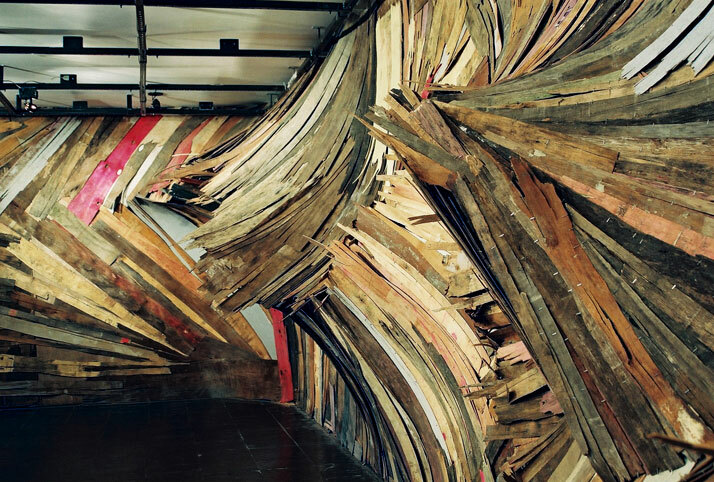 In his very round wooden installations he explores the elasticity of PVC tubes playing with the idea of swollen walls. 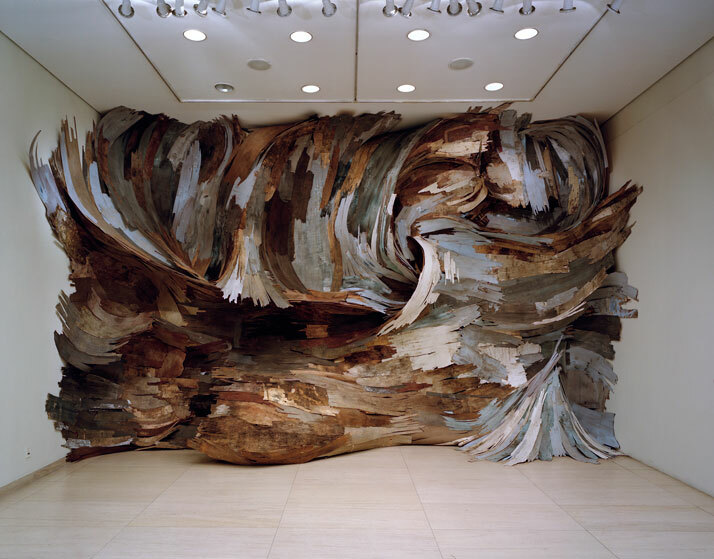 Through these pieces, he gives a sense of movement whilst creating dramatic surfaces that capture viewers.